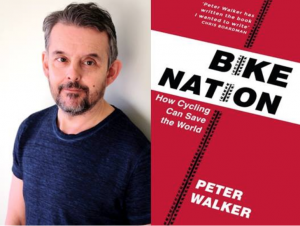 Following our highly successful “Cycling and the Police” event, Cardiff Cycle City is now giving you the opportunity to meet with Peter Walker the author of “Bike Nation: How Cycling Can Save the World”. Peter is a Guardian political correspondent and regular contributor to their Bike blog. The event will be an opportunity to draw on his knowledge of cycle campaigning across the globe and discuss what will work best for us in Cardiff and Wales. We’ll also be discussing which pro bike arguments are the most effective and how to communicate them. Places are strictly limited so early booking is advised.